The U.S. House and Senate have each passed their versions of the next Farm Bill and now a conference committee of members from each chamber will meet to come up with a final version. Republican Congressman Rod Blum of Dubuque is hoping a work requirement for welfare that passed the House winds up in the final Farm Bill agreement. Blum, though, expects that proposal will be left out of the Farm Bill’s final version, since it was not included in the Senate’s draft of the Farm Bill. Blum said he’s hoping for congressional action to increase the number of temporary visas for agricultural workers. 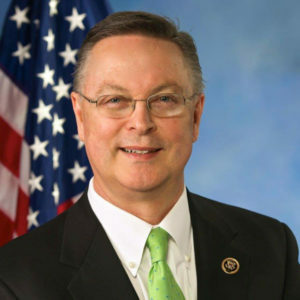 Blum said the Farm Bill that cleared the U.S. House in early July “maintains a strong crop insurance program” and encourages expansion of rural broadband infrastructure.